The Copper Queen mine is now a popular tourist attraction. While on a scouting party from Fort Bowie, Jack Dunn discovered a small outcrop of lead-silver mineralization along Mule Gulch during the summer of 1877. He reported this discovery to his commanding officer, Lt. Anthony Rucker. Dunn, Rucker and T. D. Byrne staked the district’s first mining claim in August 1877. Jack Dunn and his partners grubstaked George Warren, who was assigned the task of staking additional claims for them. Failing to honor this agreement, Warren and several friends from Tombstone staked a number of claims for themselves in late September 1877. One of these claims became the rich Copper Queen mine. Warren subsequently lost his interest in these claims on a bet in 1879. The Southern Pacific Railroad was completed to Tucson from the west in March 1880, connecting it with west coast ports. 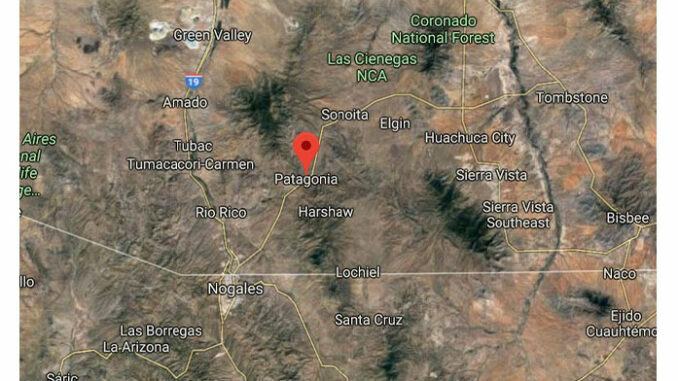 By September 1880, it had been extended eastward to the Arizona-New Mexico state line, spurring ranching and mining activity throughout southeastern Arizona. During the spring of 1880, Edward Reilly and Levi Zeckendorf acquired an option to purchase the Copper Queen mine for $20,000. With the help of John Ballard, William Martin and DeWitt Bisbee of San Francisco, they exercised this option. The Copper Queen mine achieved production in September 1880. Its rich oxide ores, averaging 23% copper, were treated by a small furnace that produced a black copper product, containing 95% copper. Construction of the New Mexico and Arizona Railroad commenced in October 1882; running south to Fairbank along the San Pedro River from Benson, where it connected with the Southern Pacific Railroad. From Fairbank it continued west to Nogales, Arizona, where it was completed in October 1884. This cut the distance in half with Fairbank replacing Benson as the railhead, further reducing the shipping costs to and from Bisbee’s mines. On the advice of Dr. James Douglas, Phelps, Dodge & Company purchased the Atlanta claim in June 1881 for $40,000. After several years of exploration rich ore was discovered at the Atlanta mine in July 1884. Litigation over this discovery with the neighboring Copper Queen mine resulted in the merger of the Atlanta and Copper Queen interests in August 1885 to form the Copper Queen Consolidated Mining Company. Phelps, Dodge & Company acquired complete ownership of this firm the following year and commissioned a new smelter on a bench of land located one-quarter of mile east of the original Copper Queen smelter in May 1887. For every ton of copper shipped from its Bisbee operations, the Copper Queen Consolidated Mining Company required two tons of coke and one to two tons of bituminous coal to be hauled to the site. Square-set mining methods employed at Bisbee’s early underground operations also required the importation of large amounts of timber. 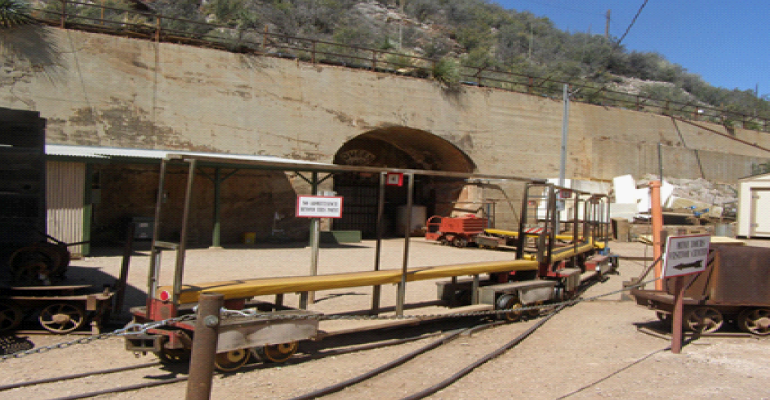 It became imperative that the economic prosperity of the area’s mines required a railroad to connect Bisbee with the outside world. The Arizona and South Eastern Railroad Company was incorporated by the Copper Queen Consolidated Mining Company in May 1888. Completed in February 1889, this rail line connected Bisbee with the New Mexico and Arizona Railroad at Fairbank. Rail haulage fees were further reduced, when the Arizona and South Eastern rail line was extended north to connect with the main Southern Pacific line at Benson in January 1895. By 1893 much of the rich oxide ore at the Copper Queen operation had been mined with large bodies of sulfide-bearing ore remaining in the lower levels of mine, becoming the chief source for copper. This required major modifications to the Copper Queen smelter in 1894, which abandoned direct smelting and replaced it with a process that produced an intermediate copper matte product, containing 45% copper that was upgraded to a 99% copper product by converters. However, this upgrade soon became obsolete because it was unable to handle the large amounts of sulfide ore being mined. A site in Sulphur Springs Valley along the International boundary was chosen as the location for a new smelter in early 1900. A town site was staked out to serve the smelter and named Douglas in honor of Dr. James Douglas, the father of Bisbee’s mining operations. Copper Queen’s Douglas smelter was commissioned in March 1904. Its older Bisbee smelter was closed in July 1904. The Lake Superior and Western Development Company (absorbed by the Calumet and Arizona Mining Company in March 1901) acquired the Irish Mag property in 1899 for $500,000. After discovering several modest ore bodies on the 850-foot and 950-foot levels, they decided to erect a small smelter at a site adjacent to Copper Queen’s Douglas smelter in December 1901. Calumet and Arizona’s Douglas smelter was commissioned in November 1902. These efforts were rewarded with the discovery a rich ore body on the 1050-foot level of the Irish Mag mine in 1902 and the development of the Junction mine in 1903, which became the focus of their operations in 1906. Calumet and Arizona’s smelter was replaced by a new, larger facility in 1913. An acid plant was erected at the site in 1920 to recover sulfuric acid as a by-product of the smelting process. Junction Shaft is located along southeast rim of Lavender Pit. Incorporated in June 1901, the El Paso and Southwestern Railroad Company purchased the Arizona and South Eastern Railroad, which had extended its line from Bisbee to the town of Douglas in February 1901. Douglas was also the junction point for the Nacozari Railroad, which was being built south to mines in Mexico that were also controlled by Phelps, Dodge and Company. Concerned about high freight rates being charged by the Southern Pacific Railroad, a decision was made to extend the El Paso and Southwestern rail line eastward connecting Douglas with the Atchison, Topeka and Santa Fe Railroad at Deming, New Mexico in June 1902 and the Rock Island Railroad via the El Paso and North Eastern Railroad at El Paso in June 1903. With several railroads now competing for their business, the cost of shipping products to and from Bisbee significantly declined. The Shattuck-Arizona Copper Company was organized in March 1904 with an initial investment of $3.5 million. Located in the northwestern portion of the Warren mining district, development of this property began in August 1904. Production commenced in September 1906 with the ore being delivered by a 3,300-foot aerial tramway to a loading facility on an El Paso and Southwestern rail spur, from which it was shipped to the Copper Queen’s Douglas smelter. Shipments continued until November 1907, when a panic resulted in the suspension of operations until December 1908. In 1919, a major fire temporarily halted operations at the Shattuck mine until 1923, when production resumed. Mining operations continued until 1930, when low copper prices of the Great Depression forced its closure. 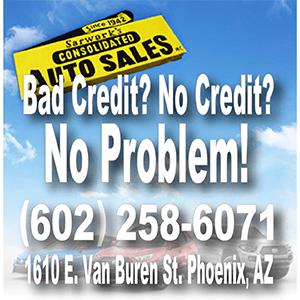 The Denn-Arizona Development Company was formed during the spring of 1905. Although development of this mine was hindered by strongly broken ground and a large influx of water from the Dividend fault zone, it succeeded in finding a major sulfide ore body on the 1,700-foot level that averaged six to ten percent copper. The Denn-Arizona Development Company and the Shattuck-Arizona Copper Company merged in May 1925 to form the Shattuck-Denn Mining Corporation. The Denn mine continued to operate until 1930, when low copper prices of the Great Depression resulted in its closure. The Denn mine was reopened in 1934. Exploration soon discovered a high grade ore body between the 2,200 and 2,700-foot levels, which was brought on line in 1937. Phelps Dodge purchased the Denn mine in 1947; using its shaft and workings to access reserves on adjacent Phelps Dodge ground, ventilation, and as an additional escape way in case of an emergency. With the increased demand as a result of the war in Europe, the production of copper from Bisbee’s mines rose to its highest level of 96,848 tons in 1916. This mining camp would never attain this level again. Dr. James Douglas retired as president of Phelps, Dodge and Company in 1916 and his son, Walter Douglas was promoted to vice president and effective CEO of the organization. In 1917, the assets of Phelps, Dodge and Company were reorganized as the Phelps Dodge Corporation with the Copper Queen Consolidated Mining Company becoming its Copper Queen Branch. Shortly after the United States entered World War I, the Industrial Workers of the World (also known as Wobblies) without a vote of the miners called for a strike of all mining operations in the Warren mining district on June 26, 1917. By the third day of the strike approximately 80% of the miners stayed off the job as a result of threats and intimidation. However, members of the mechanical trades never gave any support to the agitators and within a couple of weeks approximately half of the miners had returned to work. However, the “Wobbles” persisted in their efforts to disrupt production through increasing amounts of harassment. Everything came to a head on July 12, 1917, when members of the Citizen’s Protective League rounded up 1,186 of the agitators, loaded them into cattle cars and transported them to a rail siding at Hermanas, New Mexico, where they were abandoned and warned not to return to Bisbee. The Citizen’s Protective League continued to police the Warren mining camp for another month until it was completely purged of Wobblies. The Bisbee Deportation was as controversial in 1917 as it is today. However, no matter how we may view those events today, it is more important that history judge them in context of the time in which they occurred. A tunnel driven into Sacramento Hill in 1911 and subsequent churn drilling resulted in the delineation of a large disseminated sulfide ore body hosted by intrusive porphyry. Unlike the high-grade replacement deposits hosted by limestone that had been historically mined by underground mining methods at Bisbee, Phelps Dodge employed large scale open pit mining methods to develop the Sacramento Hill deposit. Phelps Dodge began pre-production stripping of the Sacramento pit in 1917 and commercial production was achieved in April 1923. These ores were mined by steam shovels with rail haulage and processed by three methods. High grade ores grading more than 3.5% copper were sent directly to the smelter, ores averaging between one and 3.5% copper were treated at a 4,000 ton/day concentrator, and ores containing less than one percent were treated by dump leaching with the copper recovered from the leach solutions at a plant where it was precipitated onto scrap metal. By 1928, mining at Sacramento Hill had reached a depth, where the increased haulage distance and small area in the bottom of the pit made it increasingly difficult to continue production. A decision was made to recover the remaining ores using a glory hole mining method, which involved dropping the ore mined from the pit into a chute that extended to the 500-foot level of an underground tunnel, where it could be recovered and transported to the Sacramento shaft and hoisted to the surface. The last of open pit reserves at Sacramento Hill were mined in September 1929. Glory holing commenced in May 1929 and continued until mining operations at Sacramento Hill were suspended in November 1931. Over its 8.5 year life, the Sacramento pit yielded approximately 10.4 million tons of mill ore, averaging 1.7% copper and 12.6 million tons of leach ore, averaging 0.72% copper. 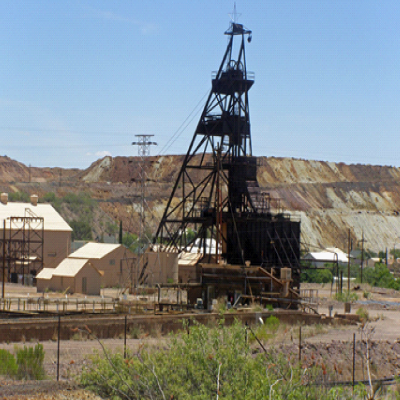 During the 1920s Calumet and Arizona’s underground operations at Bisbee flourished with production being derived from numerous high-grade ore bodies in the Junction, Oliver and Cole mines. Unlike Bisbee’s early underground operations that employed square-set mining methods, these producers used more efficient top slicing and cut-and-fill methods. During the spring of 1929, an exploration shaft at the Campbell property encountered one of the largest high-grade deposits to be found in the district, which contained more than one million tons of ore, assaying 8 to 10% copper. The Campbell Shaft is located about 0.5 miles southeast of Lavender Pit. Although the Calumet and Arizona Mining Company was very profitable and had developed large ore reserves at its Bisbee and Ajo operations, its generous dividend policy resulted in considerable financial difficulties following the crash of the stock market in October 1929. On the other hand, Phelps Dodge’s more conservative management policies had accumulated a huge cash reserve, but they needed additional ore reserves if they were to remain a major producer at Bisbee. The answer to the problem was obvious. Phelps Dodge acquired Calumet and Arizona’s assets through its merger with the Calumet and Arizona Mining Company in October 1931. Copper Queen’s Douglas smelter was closed in December 1931 and all smelting operations were moved to Calumet and Arizona’s Douglas facility. By 1932, the price of copper had collapsed to 4.8 cents per pound, which resulted in the closure of many U. S. copper producers. However, Phelps Dodge’s Copper Queen Branch remained in operation with most of its production being derived from its rich ore body at the Campbell mine. Over the next several years, the demand for copper gradually improved, allowing more of Bisbee’s mines to be brought back on line. As the prospect of war rose during the late 1930’s production grew. Although demand significantly increased when the United States entered the war in December 1941, severe shortages of manpower limited production. By the end of World War II, copper production at Bisbee had fallen below pre-war levels. During the late 1940s, the Copper Queen Branch delineated a low grade ore body that would eventually become the Lavender Pit. Increased demand for copper during the Korean War enabled Phelps Dodge to accelerate development of this resource. Initial stripping operations at the Lavender Pit commenced in April 1951 and commercial production was achieved in June 1954 at a total cost of $25 million. Mining operations were conducted on 50-foot benches with electric shovels and 35-ton haul trucks (replaced by 65-ton trucks in 1963-1964). During its final five years of operation (1969-1974), the Lavender pit was extended northwest around what had remained of Sacramento Hill; recovering ores that had been left behind when mining operations were suspended there four decades earlier. The Lavender pit and its concentrator were permanently closed in December 1974 due to the depletion of its economic reserves, low copper prices, escalating costs due to inflation and increased labor costs resulting from a three-year labor contract negotiated during the summer of 1974. Over its twenty year life (1954-1974) the Lavender open pit operation produced 92.7 million tons of mill ore, averaging 0.81% copper and 109.5 million tons of leach ore, averaging 0.35% copper. Knowing the end of the productive life of the Copper Queen Branch was near, Phelps Dodge purchased the Shattuck mine property in early 1974. However an extensive underground exploration program at this site failed to find additional ore reserves. Following the closure of the surface operations in December 1974, it was hoped that improved copper prices and more efficient mining practices would allow its underground operations to remain profitable. However, all of these efforts failed and the Copper Queen’s underground mines were permanently closed in June 1975. Over its 95-year life (1880-1975), underground mining operations at Bisbee produced approximately 53 million tons of copper ore, averaging 6% copper. Although the average grade for the underground operations averaged 6% copper, many of its oxidized ore bodies commonly contained 12 to 23% copper. It should be noted that the underground mining cut-off grade for sulfide ores was approximately 3.5% copper. 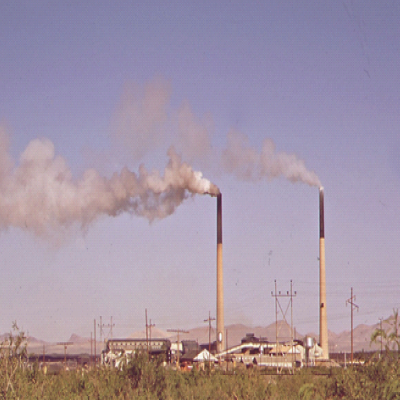 The Douglas Smelter was temporarily closed in 1978 due to a lack of copper concentrates from Phelps Dodge’s other mines or other sources. However, it reopened in May 1979, when additional sources of copper concentrates were found. It was temporarily closed again from April 1982 until January 1983 due to the collapse of the price of copper. Environmental factors eventually resulted in its permanent closure in January 1987, after 84 years of operation. The facility was subsequently demolished and its stacks brought down in January 1991. 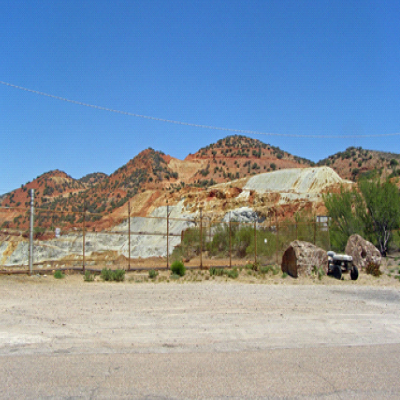 Following the suspension of commercial mining operations at Bisbee in June 1975, dump and in-situ leaching recovery methods were used to produce small amounts of copper until 2002. Dump leaching operations involved spraying water on low grade material in No. 7 waste dump, where it mixed with the oxidation products of pyrite to form a weak sulfuric acid solution that leached the copper from the rock. In-situ leaching methods were used to recover copper from the Lavender pit and from underground workings at the Campbell mine. Water was sprayed on the pit walls of the open pit, where it mixed with the oxidation products of pyrite to form a weak sulfuric acid solution that leached the copper from the rock. The copper-bearing solutions flowed by gravity to the bottom of the pit, where drill holes provided a passageway to underground workings on the 1,800-foot level, where they were collected and pumped to surface through the Junction shaft, located along the southeast rim of the Lavender pit. In-situ leaching operations at the Campbell mine involved damming and flooding underground workings on the 1,400-foot level of the mine. Solutions percolated downward by gravity to the 2,100-foot level, where the resulting copper-bearing solutions were collected and pumped to the surface. The copper-bearing solutions from the waste dumps, open pit and underground operations were treated at a precipitation plant, where the copper was plated onto scrap metal to produce a cement copper product that was shipped to a smelter for further processing. 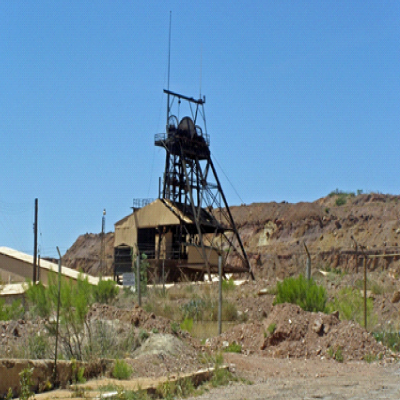 Future resources at Bisbee remain at the Cochise Deposit. In 1987, the Phelps Dodge Corporation announced the discovery of the Cochise deposit, which is located immediately north of the Lavender pit. A mineral resource of 280 million tons of material, containing 0.46% copper is reported to be present at this site. Metallurgical studies suggest that copper could be recovered from this near-surface resource using dump leaching and solvent extraction-electrowinning technology. However, permitting and a significant capital outlay would be required before this deposit could be placed in production. In August 2003, a 50/50 joint venture between Bioteq Environmental Technologies, Inc. and Phelps Dodge (merged with Freeport-McMoRan in March 2007) resulted in the construction of a water treatment plant, which employed a patented BioSulphide® process that is designed to treat contaminated water from the No. 7 waste dump with the concurrent recovery of a saleable copper sulfide byproduct that helps offset the costs of operating the facility. This plant was commissioned in August 2004 at a cost of $3.2 million and successfully produced copper until April 2009, when operations were temporarily suspended to initiate technical upgrades and cost reduction measures. Copper production resumed in May 2010 and continued until September 2013, when it was idled due to unusually high levels of rainfall. During this shutdown, operational and process difficulties lead to a decision to permanently close and dismantle the facility in early 2015. Over the life of the Warren mining district (1880-2013), 3,961,479 tons of copper, 162,128 tons of lead, 177,524, tons of zinc, 2,792,000 ounces of gold and 102,215,000 ounces of silver were recovered from the area’s mines. Copyright © (2015) by David F. Briggs. Reprint is permitted only if the credit of authorship is provided and linked back to the source. A side note: a new mineral, Shattuckite was discovered in the Shattuck mine in 1915. It is a rare, deep blue copper silicate. I have a belt buckle made of this mineral. Thank you Mr. Briggs. 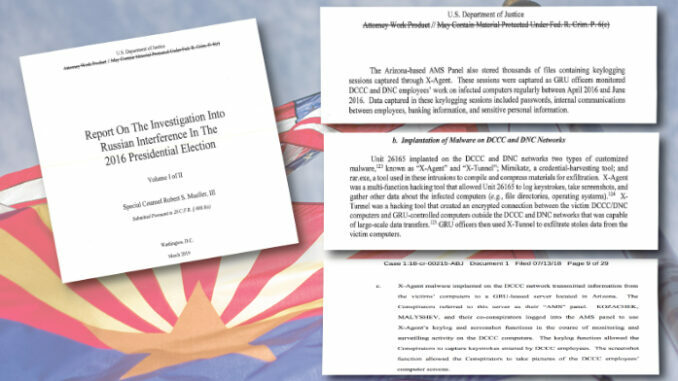 This is an enjoyable and enlightening look at a very important chapter in Arizona’s history. This chapter is important not only to the development and economy of Arizona, but to those of this young country and the rest of the free world that were beginning to thrive in the Industrial Revolution. These daring businessmen and courageous workers took enormous chances, physical and financial, to enhance our national economy and national security. They are American heroes of our free enterprise system and worked hard to create the reality of American Exceptionalism. Thanks again, Mr. Briggs, for sharing your hard work and research with US.